I feel like this all the time. I can rattle off all kinds of nonsense, but rarely is it actually what someone is looking for. Oh well. 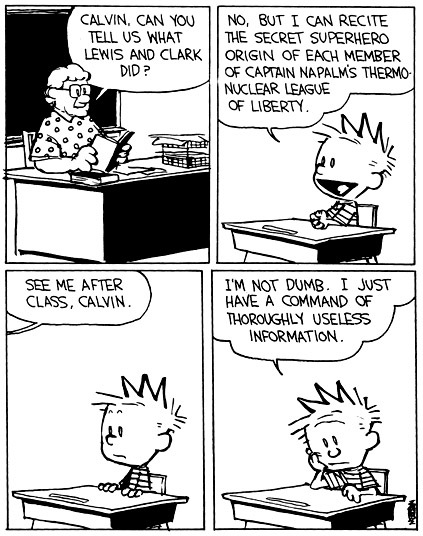 Calvin will make a great architect someday.